Engagement, likes, loves – that’s not all social media is good for anymore. Social is now a big driver of sales, said a new research by PayPal. The study added that social media channels are no longer just for networking, but have instead evolved to digital marketplaces. This allows merchants and consumers to buy and sell goods and services. 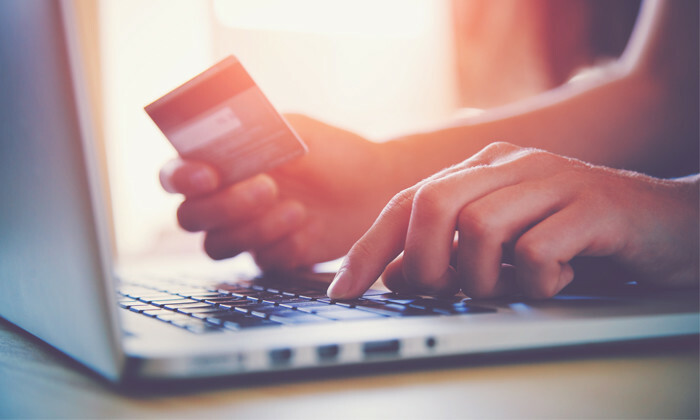 The phenomenon, known popularly as social commerce (s-commerce), is driving the adoption of digital payments due to demand for more “seamless and efficient payment experiences”. According to PayPal, s-commerce has the potential to be a “key enabler of economic empowerment and greater financial health”. This comes with 92% of merchants surveyed saying that s-commerce has significantly improved their financial condition. Meanwhile, 57% of merchants surveyed said that it is easier to set up business on social media and 47% surveyed were favourable towards the idea of leveraging their network of friends and relatives. About 80% have been found to sell through social media platforms and messenger functions, with 72% currently accepting digital payments – of which e-wallets and mobile wallets are most popular. Several social media specialists Marketing spoke to agreed that there has been an increasing interest in s-commerce from brands. Jeffrey Lim, general manager of Carbon Interactive, said there has been an increase in client queries when it comes to using social media as a way of commerce. However, client-side marketers are still mindful of how conscious consumers are of hard selling the product or service. “For many brands here, social media is still primarily used as a means for branding and storytelling. As such, a lot of the time, adding the ‘Buy No’ call to action button becomes more of a convenience rather than a main driver of sales as the ability to transact is more of a bonus than a necessity,” Lim said. The release of real social commerce features is helping brands to answer their long held challenge of attributing real value to the channel. Clients are now getting their first opportunity to add a direct sales attribution line to the performance of their social media programs. It also provides better ways to track their traffic to offline retail partners, Peyton explained. He added that the Asia Pacific region is also “quite unique” in that it is influenced by both the Western social platforms such as Facebook, Twitter and more, and also by the Chinese platforms – mainly WeChat and Alibaba. “While social commerce functions are being rolled out by platforms on both sides, the features coming from the West usually make it to Asia on a slight delay, and the features from WeChat typically only work in China. But the influence gives this region huge aspiration and expectation about what is possible,” Peyton added. Also agreeing with the trends in the study was Prantik Mazumdar, co-founder of Happy Marketer, who added that more clients are questioning the purpose of social media channels beyond brand building, engagement and community management. “As social media matures, I think this is a natural progression and most social networks themselves are experimenting with ‘buy’ call to action buttons (Instagram, Pinterest, Twitter) on their channels or are creating ‘Marketplaces’ (Facebook) for buyers and sellers to connect directly for first-hand or second-hand purchases,” he said. Quoting a recent report from Bain, Mazumdar explained that digital commerce has three distinct forms: 40% of all transactions are fulfilled by large B2C e-commerce platforms such as Lazada, Amazon, to name a few; 30% of all transactions are fulfilled by C2C e-commerce platforms such as Carousell and Shopee; 30% of all transactions are fulfilled by informal social media commerce where the product/service discovery journey could begin on a Facebook post, an Instagram DM or even a blog post. Given the near death of organic reach on social media platforms, most brands have no choice but to invest in a lot of media dollars to boost and amplify their reach. “As a result, there is further pressure on marketers to justify the ROI of this additional spend and the growth of social commerce could be open an interesting way for brands to directly sell to their customers without setting up a separate e-commerce infrastructure or selling through large e-commerce intermediaries,” Mazumdar added. Think of it as renting a shop-in-shop in a large departmental store as opposed to setting up one’s stand alone retail outlet. He explained that while having one’s own e-commerce setup has its own advantages in terms of brand control and data ownership, social commerce could be a good way for marketers to test market and have an additional sales channel. Paul Soon, CEO APAC at POSSIBLE, the trend toward s-commerce is simply a “natural evolution” for social networks. It also shows the evolution of how consumers want the convenience of getting information and products that they want directly from the seller. “It levels the playing field for any business which wants to start selling online,” Soon explained. He added that discussions with clients today would go beyond social networks, but also to marketplaces such as Lazada and Amazon. While driving traffic to the products of these marketplaces are not uncommon, a longer term challenge for marketers would be how they can future-proof themselves. This is by ensuring there is a way to collect the necessary consumer data. “So whilst we aim to have consumers purchase seamlessly, we still have to go beyond and connect the consumer data gap,” Soon added. Young Kim, former ECD of FutureBrand, has joined Prophet Hong Kong as partner and creative director. .. The new insights tool enables businesses to find and reach new audiences by comparing country data based on past campaign performa..